A stock craft made of 50 parts. 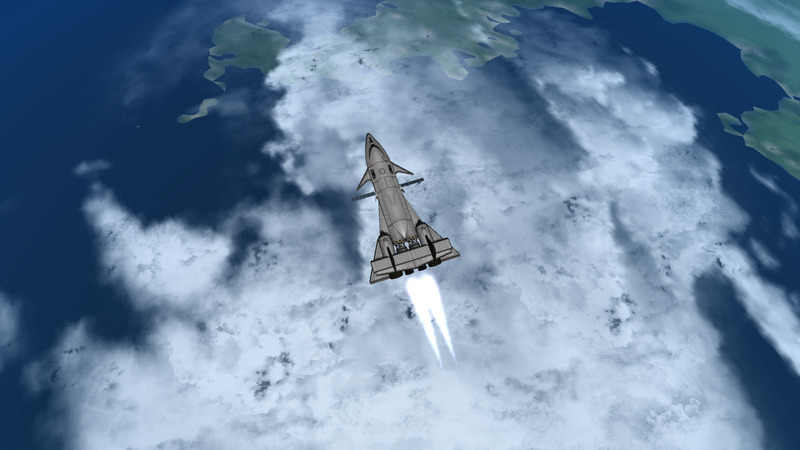 It is a LiquidFuel-only spaceplane with a range of 800m/s from launch. However when fully fuelled, the range is 3km/s. It carries 6 kerbals and has a Mk2 dorsal docking port.